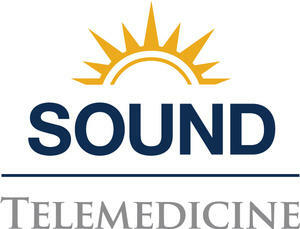 Sound's telemedicine services are now being utilized at hospitals and skilled nursing facilities across the country. TACOMA, WA, February 07, 2019 /24-7PressRelease/ -- Sound Physicians, a national healthcare organization providing hospital medicine, emergency medicine, critical care, population health, and physician advisory services, is now offering telemedicine services. The new offering is growing rapidly as a solution that brings cost-effective physician expertise to meet the acute care needs of patients in settings that wouldn't otherwise have access to this care. "Our telemedicine providers are a natural extension of our market-leading hospitalist and intensivist practices," according to Brian Carpenter, National Medical Director, Sound Telemedicine. He continued, "Through telemedicine services we are able to avoid adverse outcomes for patients and create staffing solutions that ensure high-quality care." With the launch of 11 new programs in January 2019 alone, Sound Physicians is responding to the needs of hospitals and skilled nursing facilities that lack full-time physician coverage, struggle with inconsistent coverage, or need to enhance their ability to successfully manage a higher level of patient acuity. By leveraging their national network of employed providers, Sound Physicians can rapidly scale solutions to partners' needs and deploy experience-based best practices. As an example, Sound Physicians partners with PeaceHealth St. Joseph Medical Center in Bellingham, Washington, providing telehospitalist coverage. PeaceHealth is a not-for-profit Catholic health system caring for patients from Washington, Oregon, and Alaska. They have approximately 16,000 caregivers, a medical group practice with more than 900 providers, and 10 medical centers. According to their Chief Operating Officer, Cherie Martin, "This is an exceptional service. We love the guaranteed response times and know that our nurses and patients are getting the support and care they need. We feel confident in the quality of care because the telehospitalists are Sound Physicians providers." Sound Physicians is a leading healthcare organization with a proven track record of improving clinical quality, patient experience, and financial performance for its hospital partners nationwide. Sound combines a high-performance model with engaged providers to drive reproducible results across the acute episode of care – through emergency medicine, hospital medicine, critical care, population health, telemedicine, and advisory services.